Hello! Today I have a quick China Glaze swatch to share with you. 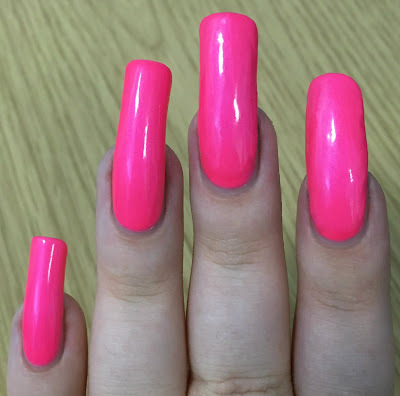 I recently got my hands on a couple of their older neon polishes - thank you to Timea (@rampartnails). They have been sat in my swatch pile for a few weeks now, and with the end of Summer is approaching I decided I needed to wear at least one. I went for 'Shocking Pink'. Read on for my swatch and more info! 'Pink Voltage' is a bright neon pink with a purple flash. This has a typical neon formula. It is opaque in two coats, but definitely needs a third to even out the streaks. It also dries very quickly to a matte finish, so over-manipulation will cause it to drag. I had a few slight streaks after my third coat, but most did level out/disappear after topcoating. Below is three coats and topcoat. What do you think? I am very much a pink polish person and I love my neons, so this is perfect for me. That being said, I wasn't a massive fan of the formula. I love that it didn't need a white base coat but it was rather streaky. I think I can just about forgive the formula as I love the end result! 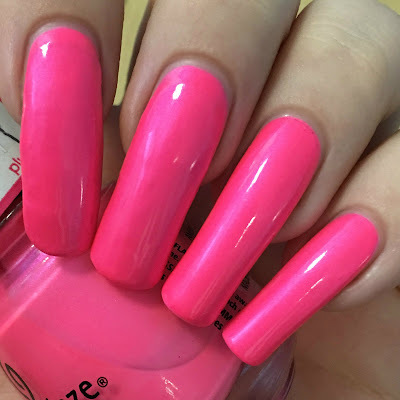 You can find 'Pink Voltage' on Nail Polish Direct for £3.95 here. So bright! One last summer look hurrah? This is so pretty it's glowing! Love how pink this is! Neon pink is one of my favorite shades of pink! ;) I love how it glows in that last picture! 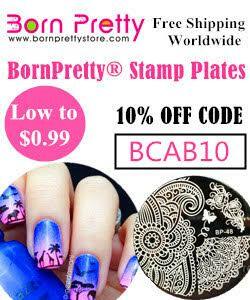 This is such a pretty pink that I have and don't use often enough! This color looks gorgeous on you!! Super bright! Love this color!